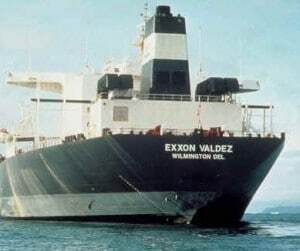 When the Exxon Valdez spilled crude oil into the pristine Prince William Sound in 1989, years of building their name recognition instantly worked against them. Their high profile brand was a household word and the incident became a daily topic of conversation. Even though Exxon took responsibility and voluntarily committed massive funds to the cleanup, their reputation was permanently damaged. Even small start-ups need to protect their reputations. If they don’t get the reputation as a hot seller right off the bat, buyers will be reluctant to take their products. That’s why it’s better to start small in a controllable territory. Make sure every retailer who carries your product sees good movement from day one. The development of your brand is forever held hostage by its early reputation. Many start-ups try to sell their products too quickly over too large a territory. Then, because they don’t have the staff to watch the stores, or because they think their distributor will take care of everything, sales are slow. Without instant and constant vigilance at the retail store level, your product can easily get the reputation of being a slow mover. This is almost impossible to live down. So what you thought you wanted, which was to quickly achieve national brand status, can turn into a disaster: a national brand that has the reputation of being a slow mover – everywhere. When you start out slowly developing your brand’s reputation and limiting it to an area you can merchandise, you have the time and resources to correct problems as they arise. It’s not about how fast you develop your brand, but how carefully. Why wait until you are a national household word to discover your weaknesses when you can play the minors until you’re batting 500? Brand development is a delicate dance between your distribution system and consistent delivery of your brand’s promise. Each stage of development requires a level of mastery before moving forward. The brand graveyards are populated with brands that tried to expand faster than their competencies. Sure, you must have a great logo, a snappy catchphrase, and consistent messaging, but when it comes to brand development the real limiting factor is reputation. Does it deliver? Is it still relevant and does it sell? The biggest mistake brand developers make is that they think their product will sell on its merits alone. It won’t. What if it’s too soon for the market, or what if it’s too hard to get? What if it didn’t demonstrate stellar sales at first? The market has a long memory and is unforgiving. Part of brand development is to understand the difference between what you are trying to sell and what the market wants to buy – and this changes. This can affect your price, quality, look and feel. This is all the more reason to start slowly and cautiously. It is easier to make adjustments before you get too big and too widely known. If you finally make it to the top of your category and you are #1, that’s when you must use the valuable lessons you learned when you were small. Your product must deliver quality, stay constantly relevant, and protect your precious reputation because the next position after number one is number two.